“My son holds his stomach tightly and screams out loudly in pain. At times, he goes out of breath and opens his mouth widely to gasp for air. 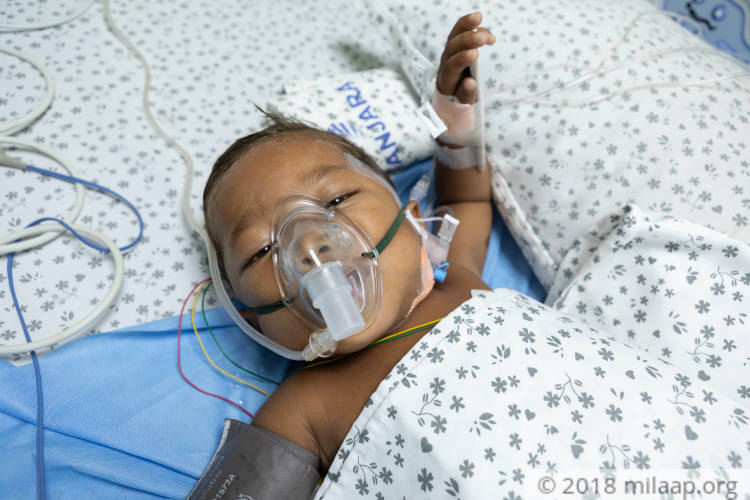 My child is fighting for every second of his life on a ventilator. I don’t even have one rupee in hand, I ran to every person I can think of to help me save my son from death. With the money I collected I couldn’t even afford a complete diagnosis for my child. Now all I can do is watch him suffer in pain,” - said Vikas, Rishi’s father with teary eyes. 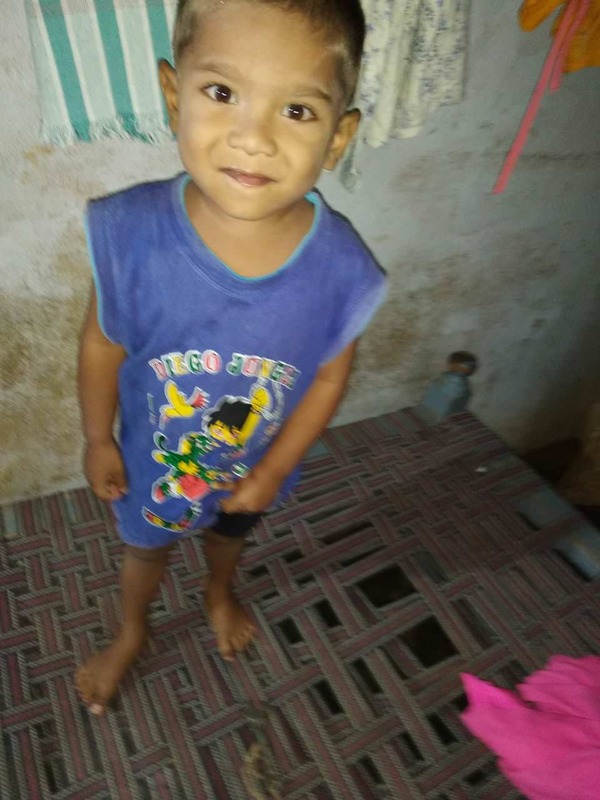 A month ago Rishi was happily playing with his sister and suddenly a tight pain in his stomach made him cry out loud. Worried, his parents rushed him to the hospital in their village. The doctor prescribed medicines but even after using them he was restlessly crying in pain. 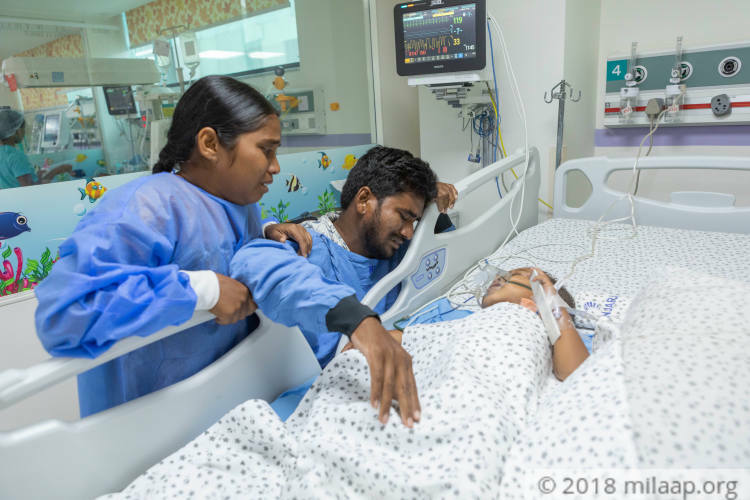 Desperate for help, they took him to a private hospital in Hyderabad where they discovered that Rishi has an enlarged liver. 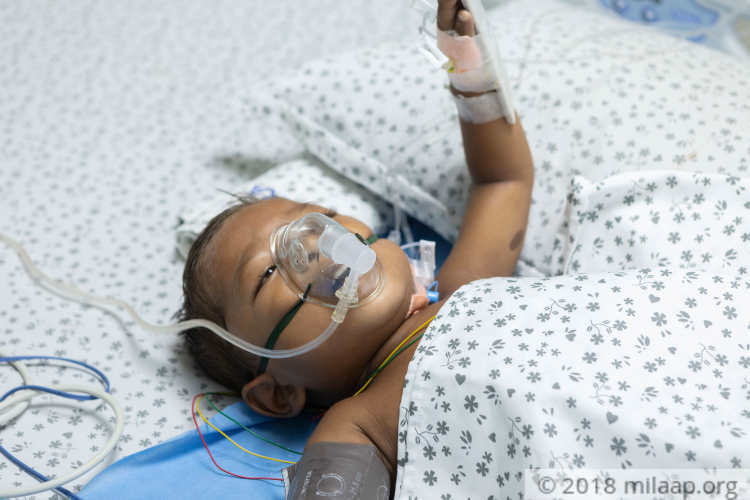 “We thought it was gas but our doctor explained to us clearly how his liver is damaged and it is putting him in a critical condition. 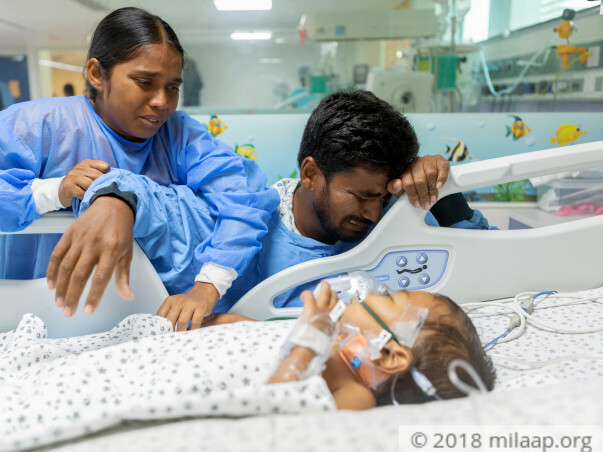 My wife and I did not understand what to do but with all our savings we have admitted our child in the hospital.“ - Vikas. Rishi’s condition is severe. He needs to be in the ICU. He may require a surgery soon. The task on hand is to determine what is causing this issue. 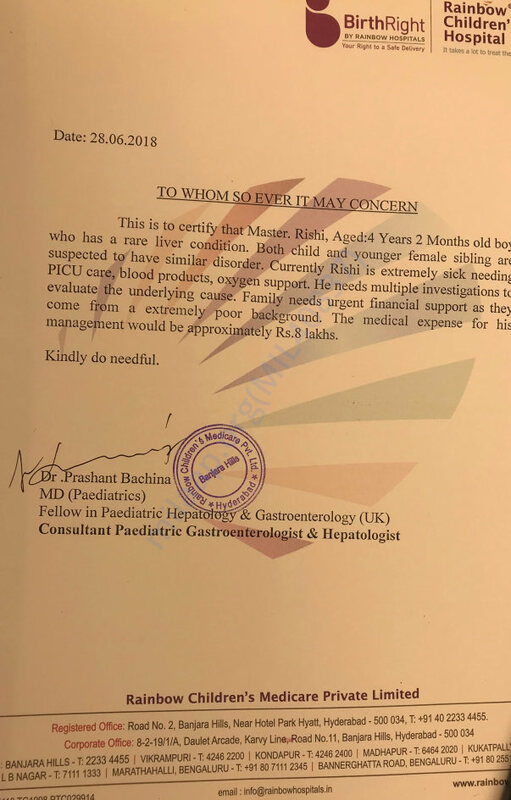 To make matters worse, his sister, Aaradhya is also showing similar symptoms. He needs further investigation to detect the cause, and intensive care to manage the pain. “He is in so much pain that he doesn't allow us to even touch him while he is suffering. He looks at an injection and cringes. 'Nana oddhu oddhu! ' he screams and begs me to take him home. I see my wife who desperately wants to console him but all she can do is stand beside him and helplessly cry.” - Vikas. The family could only afford to admit the child in the ICU for 2 days which was not enough for a complete diagnosis. The expenses of the tests and bills have overburdened Vikas. 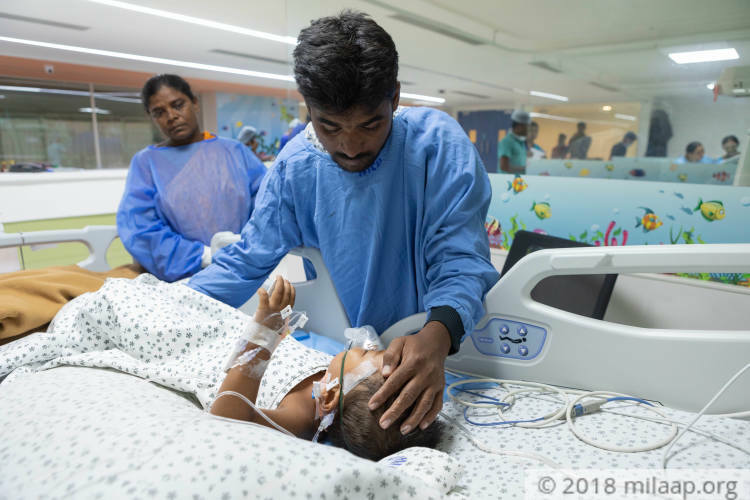 Left with no option, he has shifted his 4-year-old in a government hospital where Rishi is on a ventilator with no treatment. Rishi can get the care he needs if his father can arrange for funds in time. Vikas is a farmer making only Rs. 8000 a month and is unable to afford a treatment that can save his son’s life. 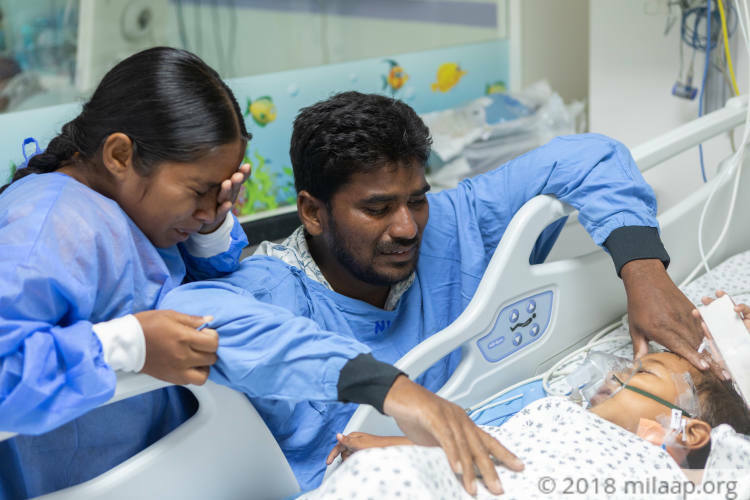 Rishi needs to be moved back into the ICU as soon as possible. It his only shot, and even his sister's at surviving this condition. Rishi is currently at home and is recovering. He has been advised for regular follow ups with the doctors. Here's a recent photo of Rishi. Thank you so much for the love and support. Here is a quick update on Rishi's health. Currently, Rishi is at home and doing fine. He was admitted at the hospital and was on ventilation for a while as his health was deteriorating. He has now recovered. He is on medication as prescribed by the doctors. We are waiting for him to recover and gain strength as his blood count is low. The baby will have to undergo a few tests so that doctors can decide the course of action required. Please pray for his health and speedy recovery. Here is a quick update on Rishi's health. Rishi has been discharged and currently at home. He is doing a lot better now. His fever has faded and the blood flow is also stable. He is on regular medication as prescribed by the doctors. He has been given a diet chart with regards to his medication. Rishi will have to go to the hospital for regular follow-ups. Thank you for your love and support. Please pray for his speedy recovery.